Invaders dare to tread upon our northern borders. Gather the other women, and prepare to slay these trespassers. Show them no mercy. Let them fear your fierce Amazon spirit with the Lena Steel Tasset Belt adorning your waist. 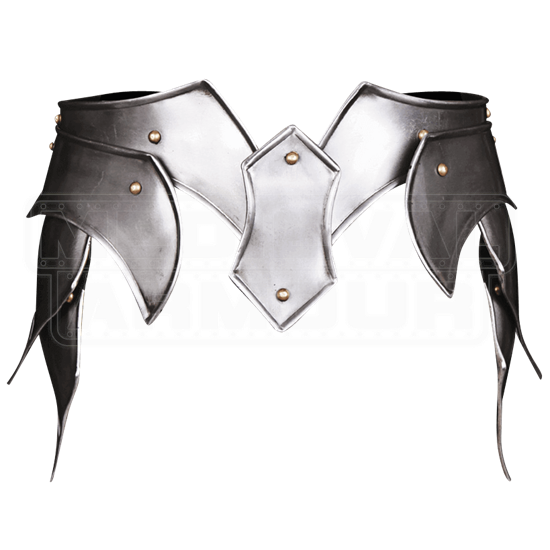 Let this tasset belt reinforce the fantasy warrior princess theme of your LARP character. 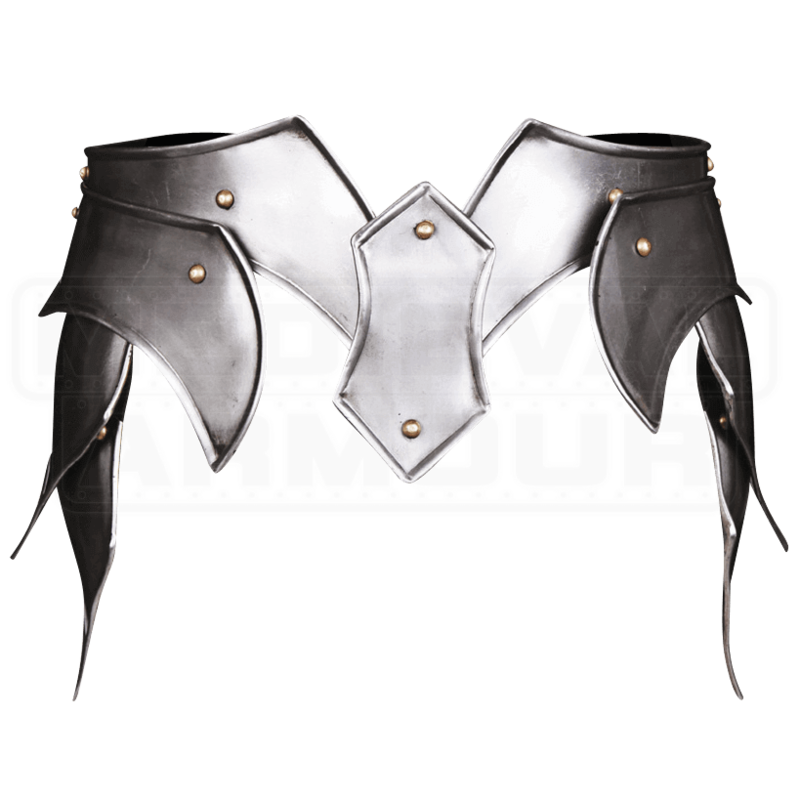 The armour belt is fashioned from two steel pieces. Adjust it easily around your waist with the attached leather belt. A movable central plate protects the lower abdomen, while the tassets shield the upper thighs. Beaded points and brass rivets contribute to the elegant and comfortable style of this warrior princess girdle.